Please check back soon for 2019 availability. My Island Hop trips are so much fun; being outside in nature and enjoying the very best the Channel Islands have to offer, is my favourite part of summer! On this 6 hour day retreat, we will be immersed in nature and surrounded by crystal clear waters...giving you the opportunity to unwind, unplug and...have fun! 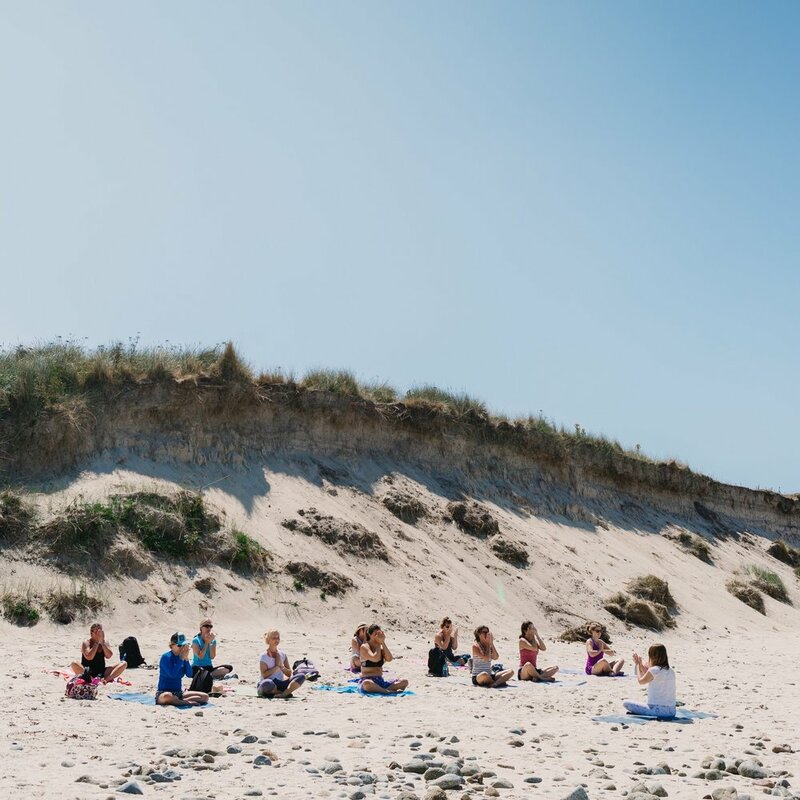 A playful and relaxing Yoga class on the beautiful Shell beach. You don't need to have practiced Yoga before! Cancellation policy: Your appointment is very important to me; it is reserved especially for you. I understand that sometimes schedules adjustments are necessary; therefore, I respectfully request at least 7 days notice for cancellations. Any appointment missed or cancelled within the 7 day notice period will be non-refundable. Inclement weather policy: Safety and enjoyment is of paramount importance. We reserve the right to cancel the trip due to adverse weather conditions or circumstances beyond our control. I will try my best to find an alternative date. If this isn’t possible, or you can’t make the new date, a full refund will be given.